WICHITA, Kan. (Associated Press) ź?? The Wichita clinic of slain abortion provider George Tiller will be “permanently closed,” his family said Tuesday. Operations at Women’s Health Care Services Inc. had been suspended since Tiller’s death May 31. In a statement released by his attorneys, Tiller’s family said it will close, effective immediately. “We are proud of the service and courage shown by our husband and father and know that women’s health care needs have been met because of his dedication and service,” the family said. 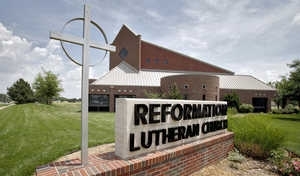 Tiller was shot to death May 31 while serving as an usher at the Lutheran church in Wichita that he regularly attended. Abortion opponent Scott Roeder, 51, is being held on charges of first-degree murder and aggravated assault in Tiller’s death.